We are often asked, Which reloading press is best? The answer depends on a number of factors. We suggest you should make your choice according to need first and price second. Consider the type and amount of shooting you do, then use the following guide to help make your choice. Hand presses like the original Lee Loader and the Lee Precision Breech Lock Hand Press Only (shown at right) are great for loading limited quantities of specialized ammunition. 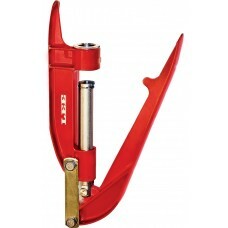 Small and easy to pack, they provide a convenient way to test a wide variety of loads at the range. You can fairly quickly load three rounds, test fire them, load three more rounds with a different powder charge, test fire them and so on. Then compare the results from all your test batches to zero in on your perfect load. However, loading box after box of your favorite ammo with a hand press is not our idea of fun. 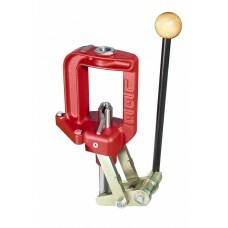 Single station presses will load nearly any cartridge. Cartridges are loaded in a batch process during which, for example, 20 cases are deprimed and sized then the die changed to seat bullets in those 20 prepared cases. This die changing process can be sped up dramatically by using a press like the Lee Precision Breech Lock Challenger which is equipped with the innovative Lee Precision Breech lock quick-change die system. The Lee Precision Breech lock system, inspired by big guns, allows changing dies with only a 1/6 of a turn rather than the tradition method which requires many complete turns to change dies. 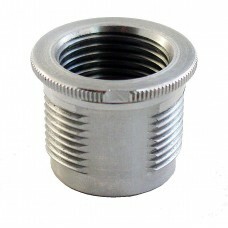 Lee Precision`s Lee Precision Breech Lock Bushing (2) allow any standard reloading dies to be used in a Lee Precision Breech lock equipped press. A single station press is the best choice for most rifle calibers especially for large calibers like .50 BMG. And for a beginner, the simplicity and reliability of a single station press outweighs all other considerations. Turret presses offer near single station simplicity with much higher production rates. With a little practice, most reloaders can approach the speed of typical progressive presses. Since all the required dies are mounted on a turret, there is no need to change dies between each operation resulting in considerable time savings. On most models the turret advances to the next station automatically saving even more time. With every four pulls of the lever, a completed round is produced. 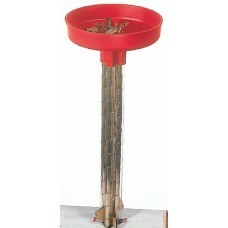 A Turret Press is a great choice for moderate handgun ammunition production. When equipped with an Lee Precision Auto Disk Powder Measure, turret press production rates of 250 rounds an hour are easily achievable. And by deactivating the Auto index feature you can batch reload the longest rifle cartridges. Changing calibers on a turret press is a snap, just twist and exchange the turret, snap in a new shell holder and you`re ready to load a new caliber. Since the turrets are so inexpensive we recommend you buy a separate turret for each caliber you plan to reload and keep each turret set up with the appropriate dies. 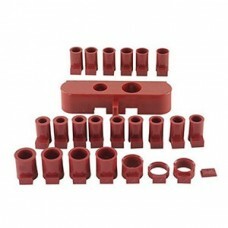 The Lee Precision Die Box Round Red is a great way to store your pre-set up turrets and dies. When you`re ready to upgrade from your trusty single station press, a turret press like the Lee Precision 4 Hole Turret Turret Press with Auto Index (shown at left) is the next logical step. 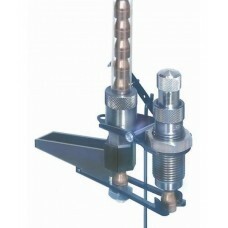 Progressive presses are primarily designed for very high production of handgun cartridges. Add a bullet and pull the lever all other operations are automatic. We suggest you should select a Progressive Press like Lee Precision`s Load Master and Pro 1000 if you are shooting more than 500 rounds a week, are somewhat experienced reloading ammunition with a single station or turret press and don`t plan to reload a wide variety of calibers since change over from cartridge to cartridge can be involved. 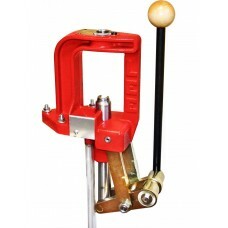 If you are loading limited quantities of many different cartridges a Turret Press is a more practical choice. But if you need to crank out 1,000 rounds of your favorite ammo for your next IPSC competition or Cowboy Action meet, there is no substitute for a finely tuned progressive press. 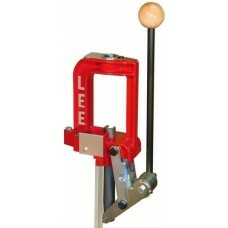 The Lee Precision Breech Lock Challenger Press has an "O" frame design, that is the strongest and .. The Lee Precision Bullet Feeder Kit automatically feeds .30-.32 caliber (.60 long) bullets into the .. The Lee Precision Bullet Feeder Kit automatically feeds .40-44 caliber (.65 long) bullets into the.. The Lee Precision Bullet Feeder Kit automatically feeds .40-44 caliber (.65-80 long) bullets int.. The Lee Precision Bullet Feeder Kit automatically feeds .45 caliber (.67 long) bullets into the mout.. The Lee Precision Bullet Feeder Kit automatically feeds 9mm-.365 (.46 long) bullets into the mouth.. 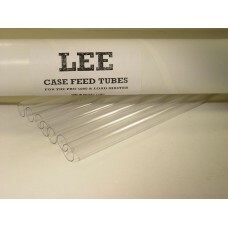 The Lee Precision Bullet Feeder Kit automatically feeds 9mm-.365 (.60 long) bullets into the mouth o..
Lee Precision Case Collator fits on top of the Case Feeder, makes filling the tubes faster on the Pr..
Lee Precision Case Feed Tubes includes 7 replacement case feeder tubes for the Pro 1000 and Load Mas.. Replacement Charge Bar & Bushings for the Lee Precision Shot Shell Reloaders.This is a repair pa.. The Lee Precision Classic Cast Press is designed to work with large series 1 1/4-12 dies. Has compo..